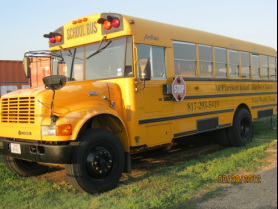 Our Bus Ministry is available for anyone needing a ride to church on Sunday mornings. Brother David Buchanan coordinates our bus ministry. Those who are not on the regular route may contact Bro. David for more information or to be added to the pickup schedule. His number is found under the contacts section of our website. A shuttle bus service is also available for those who would like to attend church but may not drive. 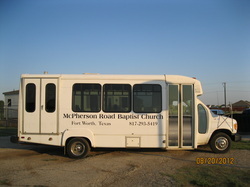 The shuttle bus is equipped with a wheelchair lift and is normally available to pickup for each service.